Honestly, I had no interest in watching this movie but my husband wanted to see it so we did. As I started watching the movie, I got more and more into it. When the real life incident was taking place, I remember it being on the news and I remember everyone saying what a criminal Edward Snowden really was. Besides that I didn't know a lot about what he had done and the situation. I watched the movie and was completely blown away. Not about what he did but how the media covered it. First let's talk about what he did. He took NSA information outside of the agency and shared it with the world. Yes, it was considered spying but no agent was harmed. Why did he do it? To expose the fact that the NSA and other agencies were listening in on Americans who weren't doing anything wrong. 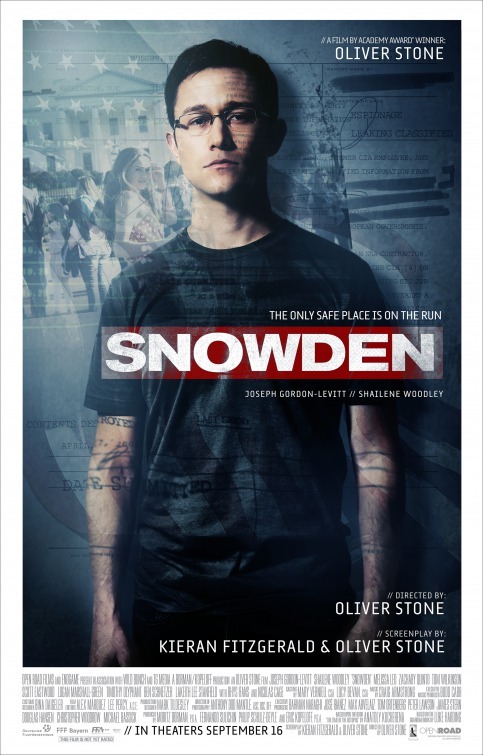 The movie follows the personal life and career of Edward Snowden. It shows he came to the position that he was when he took the information outside of the agency. It also shows the life he was having with his girlfriend Lindsey Mills. It shows their worldwide romance and constant battle of him not being able to talk about his work at all with her. It also shows the real Snowden and his reasoning behind his actions. I highly suggest watching this. If you only watched some news coverage or even if you feel like you knew a lot about the events, watch it. You might learn something or find an opinion on the subject. For me, it made me really look at the media differently. 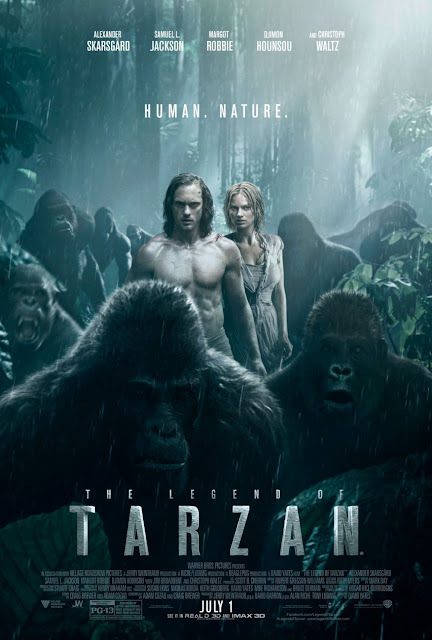 This Tarzan is a new twist on the Legend of Tarzan. Set in the late 1880s, Tarzan has been living out of the jungle and in England with his bride Jane. When a man from America named George (Samuel L. Jackson) asks him to go to the Congo with him in searching of rumors he's heard of people being taken into slavery, Tarzan agrees. Tarzan quickly learns that his old rival Mbonga, has hired a high ranking British official Leon, to bring him back to the Congo. What he'll get for delivering Tarzan is diamonds. Jane is quickly taken hostage by Leon and separated from Tarzan. He must find a way to get her back. The only way is to trek through the dangerous jungle. Refusing to leave his side George follows him into the jungle is taken on the ride of his life. Tarzan enlists the help of every animal he's ever met to get Jane back. Meanwhile Jane and Leon on traveling down the river in the Congo getting closer and closer to Mbonga. 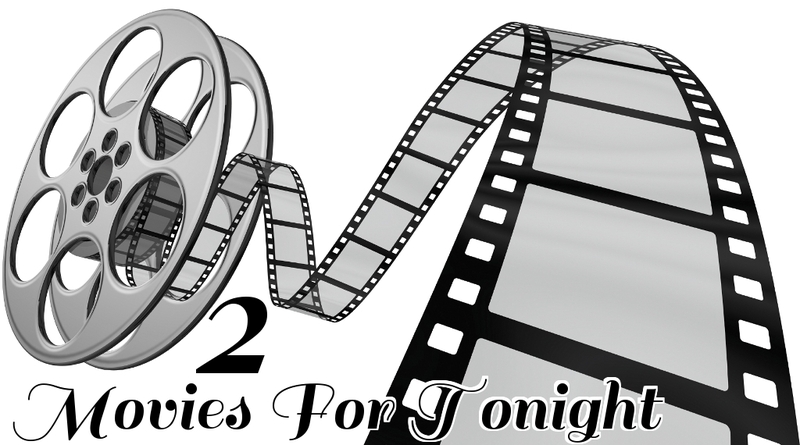 You'll have to watch to find out if Tarzan can get Jane back and if they'll make it out of the Congo once again. I thought this was an interesting twist on a story that's been told over and over again for the ages. I thought the interaction with the animals was life like and the scenery of the jungle was breathtaking.